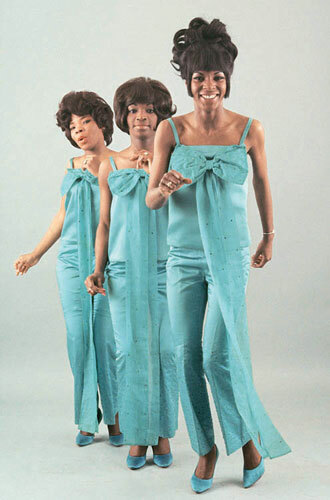 Martha and The Vandellas are one of Motown’s most popular acts. As a girl group they were second only to the more sophisticated Supremes in terms of appeal. Martha Reeves began as a secretary at Motown Records, bursting into song every time Berry Gordy walked by to get him to notice her. When he did, big hits and chart success were not far behind. The Vandellas have changed personnel many times over the last forty years. 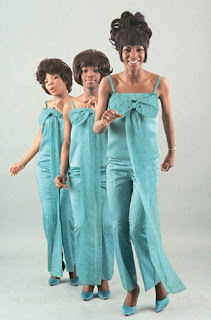 The original Vandellas, Rosalind Ashford and Annette Sterling, rejoined Martha Reeves in the 90’s for a few years before they split again, but it’s always been Reeves and her phenomenal voice that have powered the group’s legacy. Unlike The Supremes, where faces and voices changed over the years but the hits continued, there could be no stand in for Martha. She is irreplaceable. In a clip from Hullabaloo in the 60’s, Martha and The Vandellas perform one of their biggest hits, Nowhere To Run. The sound is still fantastic and people still want to get up and dance whenever this one plays.